9/25/15 – Update v5.7 Mp3 Player, Contextual Menu Additions, & Lots of Improvements. Just like the realistic Tablet, we’ve now added a realistic Mp3 Player! You can now listen to different songs while playing games as background noise, or you can use the mix of songs for ambient themes in your custom RPG’s. The difference with the Tablet and the Mp3 Player is that you can listen to all the songs simultaneously. If someone joins your game later, they will hear exactly what you hear at the time. We also improved a lot of things overall, like with the Vector Tool, Jigsaw Puzzles, Stacking and so much more. 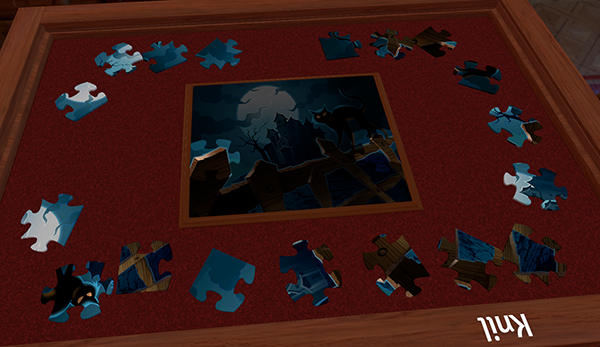 The option to remove the image on the board for puzzles will still be coming! We hope you enjoy the recent changes and as always, there’s a lot more to come! The Cosmic Encounter DLC will be coming next week, so stay tuned for that update! Added custom music for TTS’ main menu. 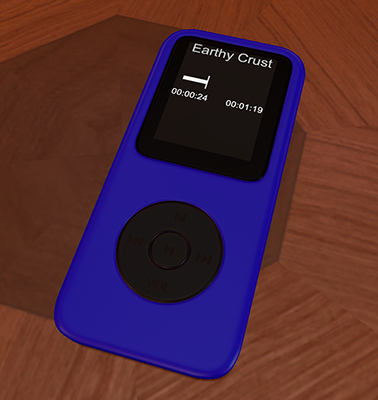 Added in a realistic Mp3 Player for your listening enjoyment. You can choose from a multiple list of genres for a total of around 100 songs. The buttons on the Mp3 Player are fully functional. You can adjust the volume, pause the song, or skip to the next song. Option for the host to disable it for other players will come in a future update. Added eraser (erases per line). 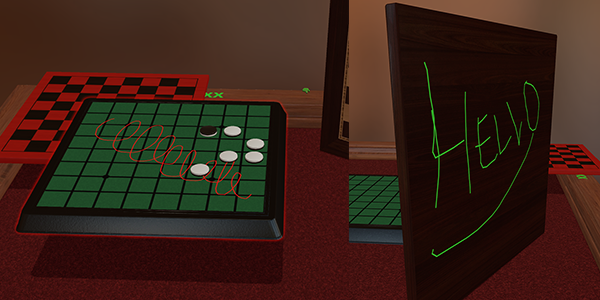 Added in drawing on locked objects. Lines save to the object and can be saved to the chest (with the lines on it). Added a “Kid friendly” 20-piece puzzle. ALT-zoom on puzzle pieces now rotated correctly. You can now turn off the auto raise per object for when it’s not needed. Right click on an object, go to toggles and uncheck “Auto raise”. 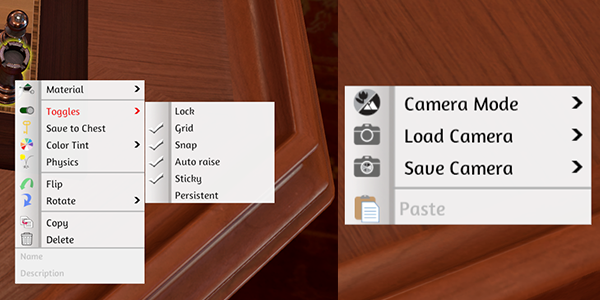 You can set any object as “Sticky” in the contextual menu (This is turned on by default and can be turned off per object). Picking up from the bottom of a stack will pick up all objects at once (as long as sticky is enabled). This is good for players who need to place tokens on top of cards (or other objects) and be able to move them around easily. Added extra options in the toggles menu (Grid, Auto raise, Sticky). 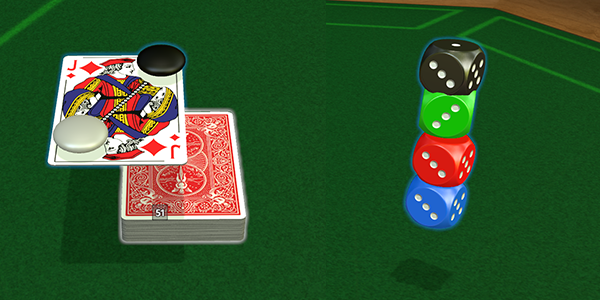 You can now roll dice and set the number on the dice from the contextual menu. You can now shuffle the loot bag from the contextual menu. You can now animate the RPG figurines from the contextual menu. You can now draw to yourself from the contextual menu. You can now group objects from the contextual menu. You can now copy and paste from the contextual menu. You can now toggle the grid and snap options independently. Updated the global contextual menu to the new UI. Added the ability for the dice to give total amounts – just box select and hover to see total. Added cardboard sounds to jigsaw puzzles and tokens (This ability is planned for custom objects in the future). Reduced the default zoom size for Magnify. Improved how random the rolling is. Objects are picked up where you would think (no longer snaps to the center of your mouse). Added two finger pan to touch. Fixed issue with custom tokens and puzzle pieces incorrectly culling when mostly offscreen. Fixed issue with hidden area not working for players who joined after it was created. Fixed issue with not being able to lock objects if held. Fixed issue with contextual toggle check marks not working properly. Fixed issue with blocking mouseover number hotkeys when holding ALT or CTRL. Fixed issue with the trash can not staying showed up in Saved Objects & Workshop lists. Fixed issue when saving camera position zoomed in. Fixed deleting pixel line issues. Fixed issue with the hover on Contextual menus disappearing when mouse moves off. Fixed moving objects with different masses at the same time not moving in sync. Fixed issue with hidden areas & its settings not saving when you save a game.